When looking to buy a laptop there is no black and white. If you are looking to buy a laptop then you need something that is fit for purpose. This guide is designed to help you narrow down your choice of laptop by providing what specifications you should look for. So whether you are a student, a parent, into photography or a gamer we have given you a rough idea of what you need to look for, as well as some example laptops to get the juices running. General Family Laptop: Most families like to have a laptop due to the lack of space they take up and the simple fact, they are easy to use and setup. Just open up and play. However when looking to buy a laptop for your family there is a minefield of jargon to be thrown at you. Do you really need a 750GB hard drive like the sales man tell you? What brand to go for? To get the most for your money, currently a 320GB or 500GB is plenty. Only go for the 500GB if you take a serious amount of pictures, or a lot of family members will use it as the main laptop. 320GB hard drive sounds small nowadays, but in reality it is more than enough for most users. You can always buy an external USB drive for extra storage for sub £50! Typical Requirements: Skype, Internet, Facebook, the occasional DVD etc. Standard Specification to look for: At least 250GB HDD, 2GB RAM (3GB is more common), Dual Core processor (any), circa £300 means a laptop you wont get frustrated with speed wise, 15.6 inch screen. Premium Options not needed but may interest you: HDMI to output to your TV, Blu-Ray for HD Films, Extended battery – look for 4-5 hours for a great battery in this category. Student Laptop: Most students require laptops as dorm rooms tend to have limited space. Smaller laptops can be good as they have enhanced portability but avoid netbooks as it will frustrate you when you have more than one thing on the go. Remember that a laptop can be your TV via iPlayer, ITV Player and 4OD as well as your music player. Standard Specification to look for: At least 250GB HDD, 3GB RAM, Dual Core Processor (Pentium), lightweight, 13.3 inch or 15.6 inch – 13.3 is more portable but costs around £50 more for similar performance. Premium Options not needed but may interest you: Microsoft Office is available to students at discounted rates, Nice compact speaker system or premium built in sound. Laptop for Photoshop: It is easy to get carried away with what can “do” Photoshop. If you are an enthusiastic amateur who likes to play with RAW files or larger pictures, then it can be very memory and processor intensive. Portable Laptop that isnt a netbook: If you are on the move a lot then portability is key. But anyone who has used a netbook will know that unless web browsing is most of your computing life then look for something with more power. These typically have 11.6 inch screens. These laptops cost about £150 more spec to spec compared to a typical 15.6 inch laptop. Brands include Apple Macbook Air, Lenovo Thinkpad etc. 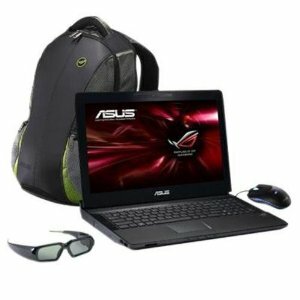 Laptop for playing games: If you love to play game s, then laptops are not the obvious choice. However if space and portability are an issue there are some superb gaming laptops to be found. 3D gaming laptops are the current trend, and it is all about dedicated Nvidia GTX graphics cards and Intel Core i7 processors. 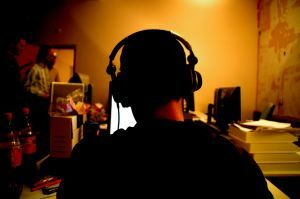 Look for brands like Alienware or Asus Gaming Laptops. Typical Requirements: Latest Battlefield 3 or Call of Duty at full graphics, Smooth graphics, fast everyday windows multitasking, High resolution screen for best picture quality.